Well, as usual we Poms got stuffed by the Aussies in Brissie. How predictable is that? I wish I was there – or maybe not! Cricket or no cricket the State Capital of Queensland is a truly beautiful city and I have made two separate trips there. The day on Fraser Island which I called 'Jurassic Park Oz Style' will stay in my memory forever. 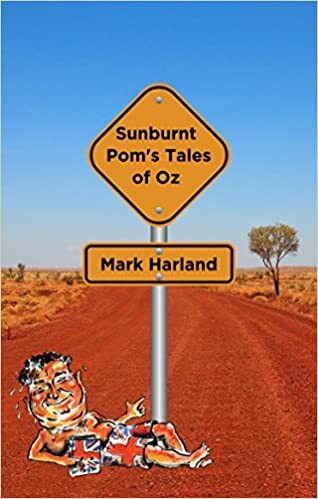 I am sorry this book has only been on Amazon Kindle thus far but it will be launched as a slimline paperback in time for Australia Day next month. It will be lightweight to make it 'airmail friendly' and I am hoping to emulate the success of possibly my favourite Oz book of all time – Let Stalk Strine! Initially it will only be available from ypdbooks.com – checkout the website to pre-order. Back to cricket, moving house recently I unearthed a photograph of the Aussie Touring Team to England in 1961 which my grandfather had bought for me and posted to Malta where we lived at the time. Some of the names are now icons....Bill Lawry...Richie Benaud...I could go on. Can any other sporting contest, anywhere in the world, ever equal the Ashes? I very much doubt it!